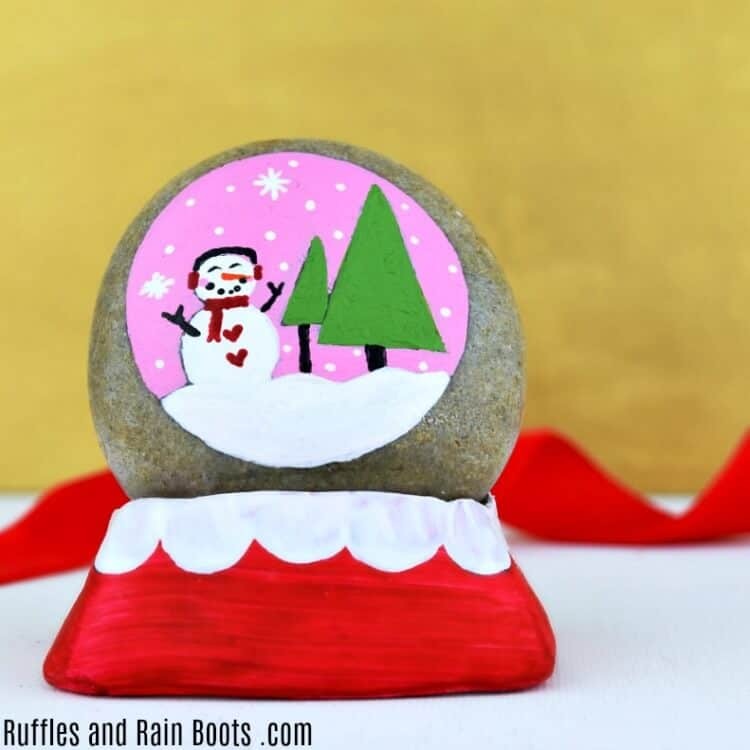 This fun snow globe rock painting idea for Christmas would make the perfect gift! 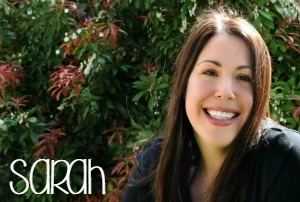 Join us as we create a little whimsy for the holidays. 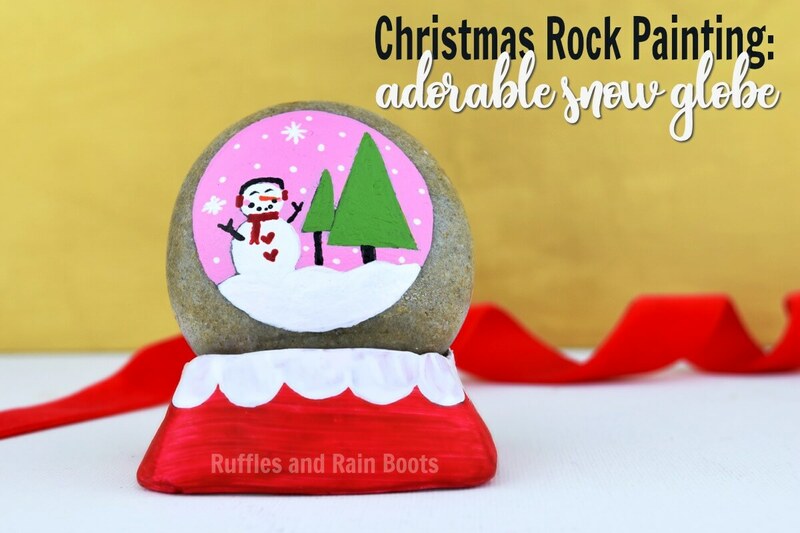 I might have an addition… Here at Ruffles and Rain Boots we have a great time with rock painting and have already shared many Christmas rock painting ideas here. You know, now that you’re here… Why don’t you sign up for our once-weekly newsletter to get updates on when we share new rock painting tutorials? Click here to sign up (it will open in a new window so you can come back to this fun snow globe rock! 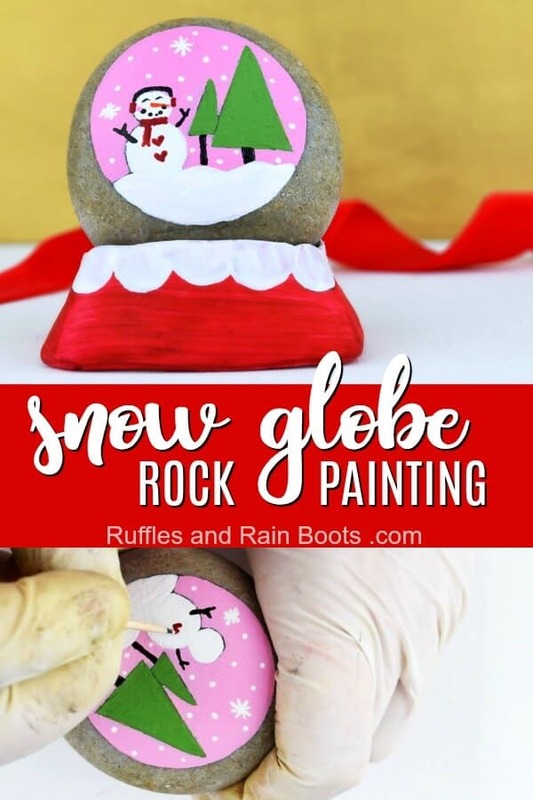 If you’re a rock painter, you likely have all of the supplies you need for this Christmas rock painting idea. To see our favorite supplies, check our Amazon Rock Painting Shop here. It’s fun, it’s easy, and there’s a quick video tutorial above. Step 1: Using polymer clay, create a stand for your snow globe rock by setting the unpainted rock into the clay and building around it. Step 2: Clean up any edges and bake per package instructions. Let it cool completely. Step 3: Paint the stand with acrylic paint and seal. Step 1: Before painting, make sure the scene will be seen by placing your rock into the baked snow globe stand. Once you’re certain of the bottom edge, make a circle on the rock in pencil. Lightly draw winter scene – I drew a snowdrift, a snowman (2 sections), and a couple of trees. Step 2: Paint all white first because you will likely need to make a couple of coats. Fill in the scenery with acrylic paint and be sure to add a second coat to really make the colors pop. Step 3: Create any accents or outlines, if you prefer. Let dry and seal. This isn’t a piece of rock art to be hidden in case the two pieces separate (even if glued together). If you’re making Christmas rocks to hide, consider only making the round snow globe rock painting. We love rock painting here at Ruffles and Rain Boots and would love it if you subscribe to get updates when we share new rocks and tips. Your shares are how we grow and we are sincerely thankful when you save our ideas to Pinterest or pop ’em in your favorite Facebook rock painting group.